I'm already a follower and am putting you on my blog for this giveaway announcement as requested. The giveaway is so darned generous and perfect for National Quilting Day! I really like #5. It is perfect!! The patterns that really catch my eye are Clarabella Bag, The Abby Bag, and My Dear Prudence (love rick rack). I love number 5. What a generous give a way. Thanks for the chance to win. I am now following your blog! I found you through Quilt Hollow's blog. Bag number 5, I think, but WOW it is hard to choose. Having trouble looking at your website. The main page comes up but that's it. I'll try again later. I'm a follower too! Forgot to list my favorite patterns in the last comment but when I went to your website I couldn't get in. I'll try again later. I sent a request to be friends on Facebook. Can't wait to see what you are working on for Spring Market. Wow such difficult decisions, you offer terrific stuff. I like Number Two best. And after a bit of cheerful agonizing, my favorite patterns (as of this moment...) are: September Morn, My Old Brown Shoe, and Marmalade Sky. I love #5 best, though that is a tough choice! Cute, cute giveaways! It's hard to decide, but I guess I like #1 the best! If found you through Quilt Hollow and am now a follower and have added you as a friend on facebook, sent notices to all my friends and have posted on my blog: http://fairydustmusingsbypam.blogspot.com. I love your patterns! My favorites are Lady Madonna, Step Into Christmas and Glad All Over. NO. 3 - I LOVE the pink! second place for me would be No. 1 - once again bc of the pink! i like both alot! I love all of these and many of the others! I am becoming a follower today! What a great blog you have. I like #1 .. the patterns I like are A Girls Best Friend, the Clarabella bag and My Old Brown Shoe. great little bags. I think no. 4 would is my favourite. thanks for the chance to win! My favortie bag is #4, just love the orange! I also choose The Abbey Bag, September Morn, and Uncle Albert as my favorite patterns, in that order. What a great giveaway. Thanks so much. I am starting as a follower, today. Wow! The Abbey Bags are adorable! Please let #2 come home to me with all of its aqua glory!!! I have left my post on my blog! I have asked to be a friend on facebook. Definite #5, love the red and green. I am now a follower! Thanks for the great giveaway! Picking 3 favorite patterns was tough...My Old Brown Shoes, Uncle Albert and September Moon are my favorites. The Abby Bags are very cute...I like #4 the best. I really like the orange in it. It was hard to pick..they were are very cute. Thanks for the giveaway. It is hard to just pick three favorite patterns.... my top three would be The Abby Bag#113 of course, My Old Brown Shoe #104, and Match Box #141. This was a tough choice because they're all so cute. The #4 Abbey Bag is my favorite! What a fun, fun giveaway! I am now following your blog. I found you through Quilter Blogs. My favorite is #5, but all the fabric combo are darling. What a generous giveaway...#2 makes me weak! Thanks for the chance at it. I posted before but forgot to add my three favorite patterns. My favorite Abbey Bag is #4. Love that orange! My favorite patterns are 1) #118 All Together Now; 2) #115 A Girl's Best Friend, and 3) #136 Maggie May Thanks and a GREAT give-away! My favourite Abbey Bag is number #5, as red and green are my favourite colours. I and told all my friends about this give away and also I have posted about it on my blog. Thank you again for the giveaway. How to choose. I do believe that number 2 is my favorite. Would love to win one of these. Oh, so very cute! Oh, it's not fair to only pick 3 favorites. I already own 6 of my very favorites. I absolutely love your patterns. But the next ones would have to be 1) Dear Prudence, 2) Long Tall Sally, & 3) Strawberry Fields.........and because I hate to leave them out....Match Box, Waiting for Love, Garden Party, and Octopus Garden are honorable mentions! Tough decisions....Honey Pie, Feelin all right, and Glad All Over would be my choices...I think! I sent you a friend request on my facebook. Good to see you on facebook. I look forward to reading more about Abbey Lane. Ok, so last night I went to Craft Warehouse with the intention to purchase the patter for the Abby Bag (Just re-did my sewing room and desperately need one) and they were SOLD OUT! Which means your contest is meant to be! lol! I love number one with number two a close second. I love #2! It is beautiful! Wow, thanks for the great giveaway. Happy National Quilt Day to you too...They all look great but if I have to pick, it would be #3. Yes, I'm following and yes, I'll definitely blog about you and invite all my friends to visit. Love them all, tough choice! Oh and the pattern I really want is the Clarabella bag. Fantastic giveaway. I am already a follower.I like the bag number 5. I love your patterns! My favorites are Lady Madonna, Step Into Christmas and Glad All Over.I put about your giveaway in my blog. Hugs from Brazil. what a great giveaway! I love Abby bag # 4 - cause I love orange : ) and I do really need one of those!! really!! I am also a follower and a friend on facebook. and a Happy National Quilt Day to you!!! Just finished a post to my blog about your fantastic giveway! Just sent you ladies a friend request on facebook! WooHoo! Awesome give away!! I would love to win #5 or #2...I love them all!! Thanks so much for throwing my name into your give away hat!! I love your patterns, they are big and bold and fun! I just love #2!! It looks like spring!! Thanks for the chance to win one of your beautiful bags!!! I love #3. It's really pretty! How nice of you! Hope I win! Oh they are all so cute! I love number two though! 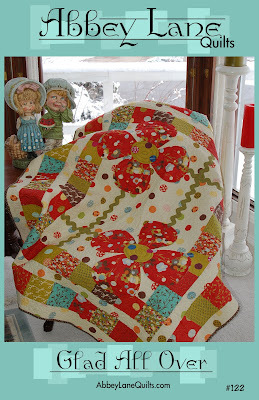 As for the quilt patterns I love Glad all over, Step into Christmas and Lady Madonna! I love the colors in bag 2. What a great giveaway! I like all of them but #4 is my favorite. Orange is such a happy color. I love #3 - I'm a sucker for pink/brown combinations! LOL!Thanks for the giveaway! I love September Morn -love the pattern and colors! I really like # 4! Something about that orange!! I just love it! My 3 favorites are Matchbox, Honey Pie and A Girl's Best Friend. Those are cute!! They are all beautiful and any would work in my home. If I had to absolutely pick, I guess it would be #2. 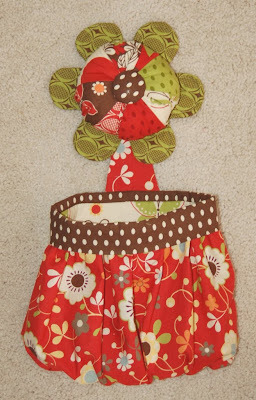 My picks on the patterns would be Miss Molly, A Girls Best Friend and Garden Party. I'm a follower too!!! Great giveaway! Thanks for the chance to enter! My favorite is # 4. Thanks for the giveaway, hugs from France. My fav. is the 5th one. My favorite Abbey Bag is #1. My favorite patterns are 1) Maggie May #136, 2) The "Bungalow Bag" #121, 3) The Day Tripper #112. Thanks for the chance to win this GREAT give-away! I love your patterns! My favorites are My Dear Prudence, Step Into Christmas and Marmalade Sky. Oh my! Every one of the bags is wonderful. The colors at ALL my colors. But I guess if I picked just one it would be #5 because I love red! They are all so beautiful that at this point I will take any. I have always wanted one of these, well actually 2 but can never seem to get around to making them. Thank you so much for the chance. I like #2 the best, but they are all wonderful. Oops. I forgot the second part. Of the patterns, I like Honey Pie, Dear Prudence, and Clarabella. Love your Blog! 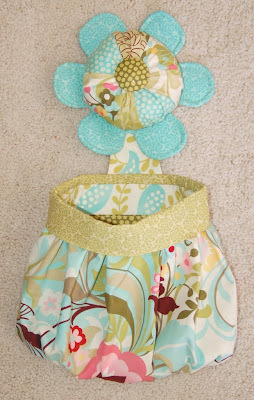 I like # 3 the best, it would look sew cute in my sewing nook! I went to your website and the three patterns I like were: 1. September Morn; 2. Baby It's for You; and 3. A Girl's Best Friend. I now follow you blog and look forward to seeing what is new! Oh my gosh, how can I choose just one. They are all so pretty. They are all so cute, I like number 1 the best and from the patterns, I like the Clarabella Bag #125. I have my fingers crossed! I may come back and get the Abby bag pattern anyway, that is, if I don't win one! I would have to say Garden Party. Okay, now I am a follower, glad I found your site. I love your patterns. Woo Hoo! A great giveaway to celebrate national quilt day. I love the #2 colour scheme. Good luck to all! I became a follower and friended you all on facebook and I'm going to post about this giveaway in a little bit. I like all of your patterns that I've seen so far...good job! I love bag number 3. they are all cute. Wow, found your web-site just in time...I love it all! I haven't been quilting long so I've be hunting around the web for ideas and helpful tricks from others. Thank you for your generousity! I've been looking for something like the Abbey Bag and just didn't find anything that was pretty all by itself. I like the orange in #4 best. Your quilts are beautiful too and it's hard to choose. My Dear Prudence, Octopus Garden, and Yesterday. I've become a follower and a facebook friend. LOVR nr. 3, that is my fave color. I just became your 100th follower too YAY lol. These are all adorable but I choose # 2 cause the blues match my sewing room/our workroom's decor. Now that I found you I will follow! Wow, I've been looking at your abby bags for a long time. I'm loving #4 although they all look good. I like bag #3 I was not able to open your pattern page so I have no idea what patterns you have. Thanks for the chance to win the cutest bag-I would pick #3. I have become a follower of your blog and added it to my reader. I would pick # 111G, 120, or 126. #4 is my favorite! Great giveaway! Just became a follower of your blog and on Facebook. I don't have a blog of my own. GREAT GIVEAWAY... what a way to celebrate!!! Bag#2 looks like spring to me, very cheery but, honestly love them all! I have been reading your blog for quite a while but was not an official follower yet. Now I am! I like Bag#2 the best followed closely by Bag#5. I looked at your website and had quite a time deciding on my favorite 3. What a great giveaway, thanks for the opportunity to win! I like the red....Red's my favorite color so number 5 it is. I joined your blog! My favorite is #1. The patterns that caught my eye are #123, 101 & 125. Susan Spiers - I luv #2 My favorite colors - great giveaway! spierssusan52@gmail.com Thanks! i would choose no1...cute, love to win. What a wonderful give-away. I would love to win #1 the beautiful pink bag. I love ALL your patterns,but would like to win Tis the Season, Glad All Over and Woo Hoo Witchy. I have NEVER won a blog give-away. Maybe this time I will be lucky!! What an awesome giveaway. I like the second one best, though I confess that it was a toss up with the fourth one :). They are such wonderful little bags...so cool. I presume you have a pattern for them :). As far as the pattens were concerned i could not access your site past the front page...I tried clicking on everything i could think off...so frustrating. They would have been good to see, especially as I was also tempted by the one on your post...Glad all Over...such a happy looking quilt. You know I think we need a national quilting day here too. All adorable - number four is my favorite! I've sent a friend request on Facebook! Well I like #2 for the turquoise in it. I love your patterns and color choices. Thanks for letting me enter! The Abby Bag, I've made it! I would love to win #1. Your patterns are beautiful, BTW. I enjoyed viewing them all! I like your "Abbey Bag" # 2. Hard to choose in both areas, but I like Lady Madonna, All Together Now, Sweet Caroline and I think that "My Old Brown Shoe" is fun looking, too! Really, great giveaway, girls! Thank you. Oh how I want one of those Abbey bags!!! They are awesome!!! I have gone back and forth between #1 and #3 and have decided on #1 - it would look SOOOOOOO fabulous in my sewing room with light yellow walls and pink and green accents. Thanks for the chance! How beautiful those fabrics are and I love your original pattern. I love #1-3 but if I had to choose I'd love to have #3. What a lovely way to brighten up a mundane space! Thanks for the opportunity. I'm glad I found you and your great ideas. I'm a new follower and my 3 favorite patterns are #131 Feelin' Alright, #122 Glad all Over, and of course #113 the Abbey Bay. #2 is my new favorite!! 3. the abbey bag #113. My daughter is infatuated with Lady MaDonna...I love matchbox...and we both love the bags...any of them! So glad I came across your blog! I collect pincushions and I'm in love with yours. Nr 4 or 5 are my favourites but 1 is great too. As of now I'm a follower ánd I'll post on my own blog ofcourse! My sewing room is in reds so I'd choose #5. My favorite patterns are Match Box, Maggie May and Clarabella Bag. What fabulous give aways and such a gorgeous blog. First I choose #2 and the three favorite quilts are: #144,#131 and #114. I saw your giveaway on Ranette's blog. I think they are all cute as can be but my favorite is #3. My 3 favorite patterns are Yesterday,Garden Party, and Lady Madonna. thanks for letting me play along. Such talent. I like bag # 3. Number 4 is my favorite! Giving away an Abbey Bag?? I LOVE IT! Number 4 is my favorite...the orange and blue colors together are fantastic. It was hard to narrow down my favorite Abbey Lane Patterns to just three! 1 - The Old Brown Shoe is a classic. My Grandma made it for me in reds and it turned out so cute! 2 - Maggie May...the shape is awesome. 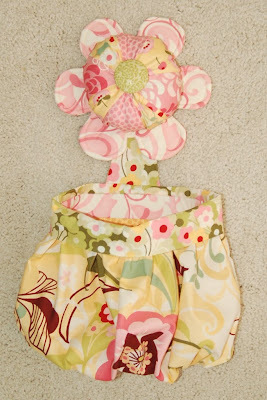 3 - A Girl's Best Friend....I love everything about this quilt. The on point diamonds, the colors, the way it shows off the big patterned prints that are so hot right now. 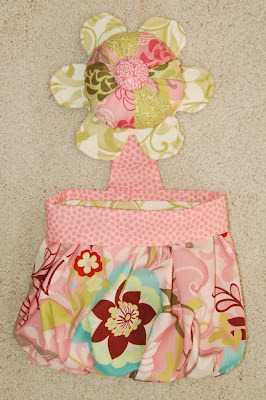 I love Abbey Lane Quilts...keep up the good work and give me the Abbey Bag Please!!!!! I love the first Abbey Bag. The colors are great. I love #3. These bags are darling. Oh I think I like number 4 but number 2 is also lovely. Definately Number 5 - just perfect and made to match my sewing room as if I had ordered it to suit. The quilts are gorgeous! My first three picks are: Sweet Georgia Black, Long Tall Sally, and My dear Prudance. Thanks! I love the second bag!! It is so cute! All them are fantastic though!! AND SO ADORABLE!!! Oh and I am a follower already!! It is difficult to pick just one, they are all so beautiful...but since you requested one choice I think it will be #5. Thanks for the chance at your give away. Wow...if they weren't all so cute it wouldn't be so hard to choose! But #4 is my favorite. Oh my goodness they are all so cute it’s hard to choose! I would say #2 is my favorite as I love turquoise! My favorite 3 patterns from your site are (I love them all so it was SO hard to choose!! ): Glad All Over # 122, Honey Pie #142, Garden Party # 101 – can you tell I like flowers!? Hehe. Thank you so much for the opportunity to win some of your amazing work!!! Thanks again and I hope you get some more followers out of my post about your fabulous site! I am also now following your blog! I found you through Craft Gossip! Posted on my blog about your give away and your cute little Abbey bag! Forgot to mention my favorite 3 patterns (although I love many). I love them all but if I had to pick just one i would love #4 or 5 maybe 1, just kidding no I am not don't make me pick i will be here all night. 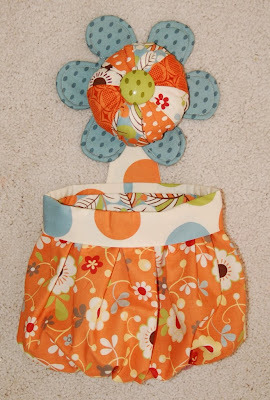 My favorite pattern is garden party even though i have not made it. I have made the match box and it is awsome and goes together very quickly. Number 4---DARLING... they are ALL darling but I'm loving the orange! What a lovely project! I would go for number three. It is prettiest and it is my favorite number. Off to your patterns now, which I have often admires at FQS. The patterns I would choose are My Old Brown Shoe, My Ticket to Ride and A Girl's Best Friend. Difficult choice though. Now I'm a follower, too! Theis give away is so generous of you. I like #2 although they are all so pretty. I became a follower. I love all your patterns and I will post about your giveaway on my blog. # 4 matches my craft room! hope i win! I'm gearing up for National Scrapbook Day on May 1st! Forgot to post my pattern favs! she loves you yeah, yeah, yeah, yeah! I forgot to say that I love teh three table topper patterns. #2, #1, and then #3. Here's a link to my blog with a shout out. Well I have to say 5 is my favorite. But 4 is really cute too. Either way I'd like to win one. Love them!